Tsum Tsum Game News! 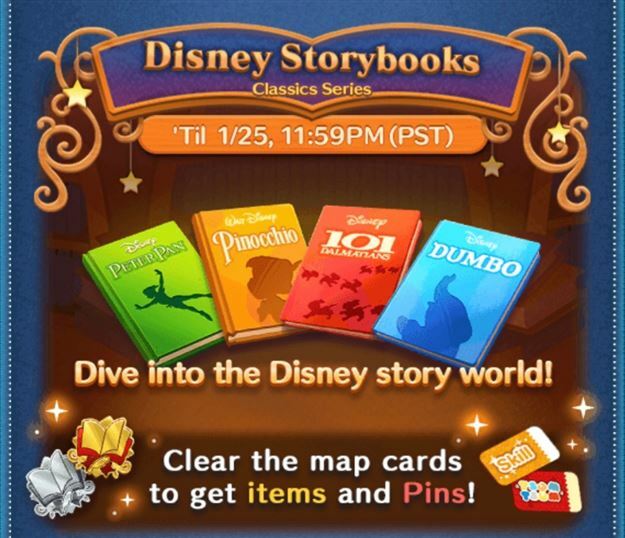 Disney Storybooks Classics Series Event Now Live! Today the International version of the Disney Tsum Tsum Mobile Game was updated to start the Disney Storybooks Classics Series Event! Tsum Tsum Game News! 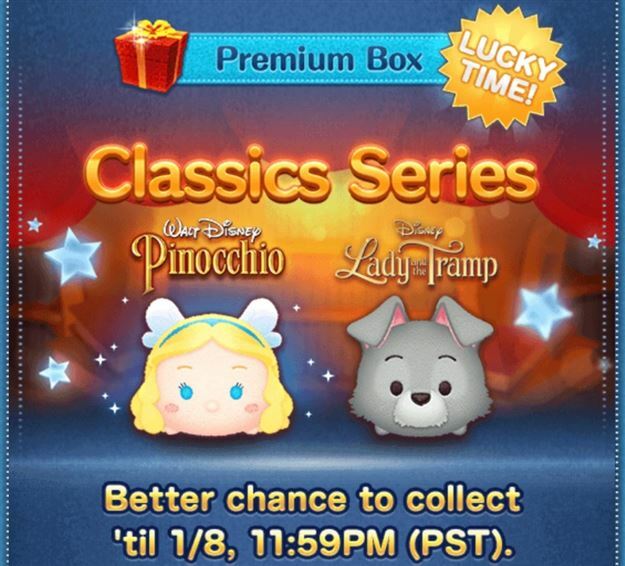 Tramp and Blue Fairy added to Premium Box! Today the International version of the Disney Tsum Tsum Mobile Game was updated to add Tramp and the Blue Fairy to the Premium Box! Tsum Tsum Game News! 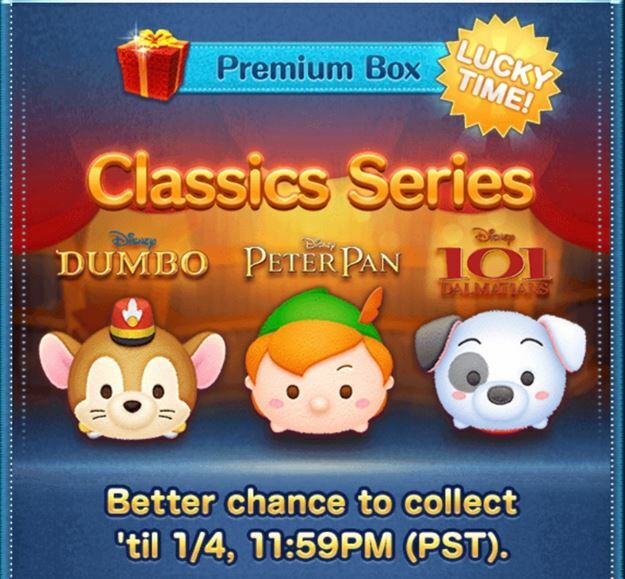 Peter Pan, Timothy, and Lucky added to Premium Box and new event coming soon! Today the International version of the Disney Tsum Tsum Mobile Game was updated to add Peter Pan, Timothy, and Lucky to the Premium Box and announce the next event! Tsum Tsum Game News! 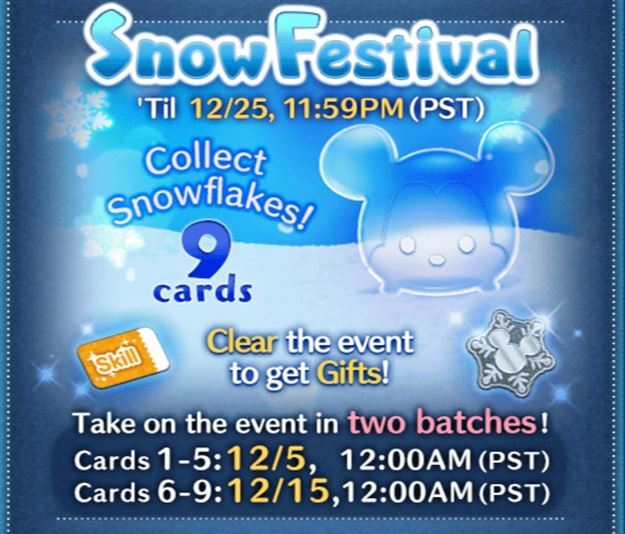 Snow Festival Event Now Live! Today the International version of the Disney Tsum Tsum Mobile Game was updated to add the Snow Festival Event! Tsum Tsum Game News! Hiro and Baymax 2.0 added to the game and new Snow Festival event coming soon! 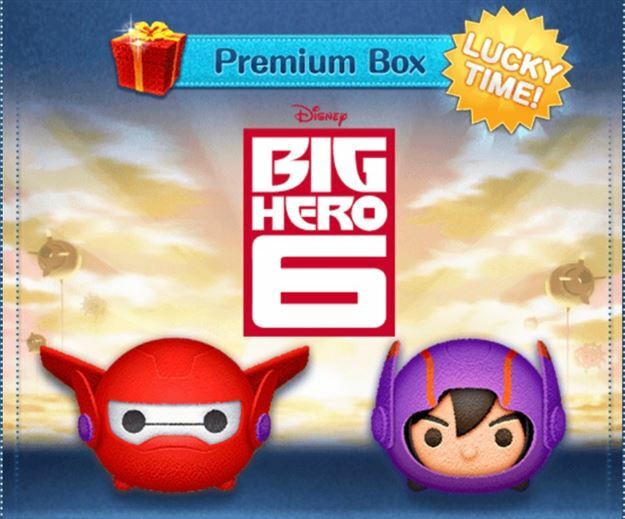 Today the International version of the Disney Tsum Tsum Mobile game was updated to add Hiro and Baymax 2.0 to the Premium Box! Tsum Tsum Game News! 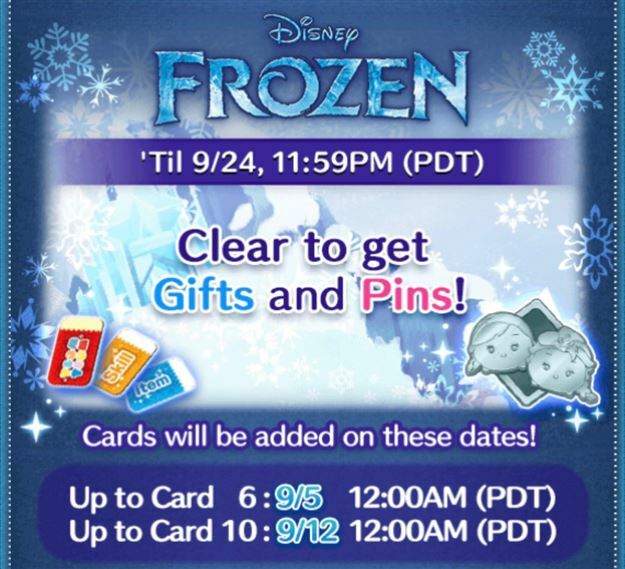 Additional Frozen Event Cards now available! Today the last 4 cards of the Disney Tsum Tsum Mobile Game Frozen Event were unlocked! Tsum Tsum Game News! Frozen Event Now Live! Today the International version of the Disney Tsum Tsum Mobile Game was updated to add the new Frozen Event to the game! Tsum Tsum Game News! 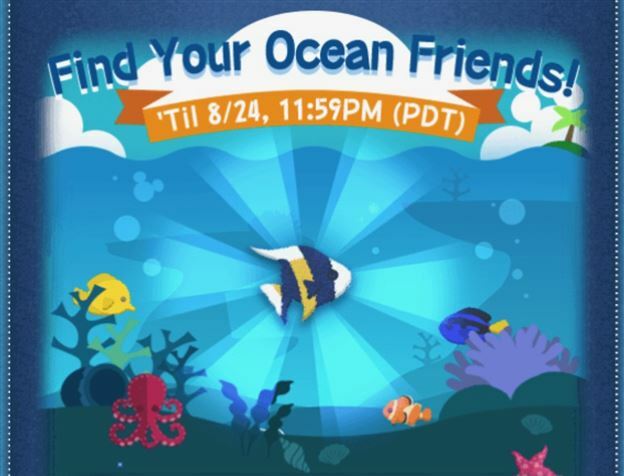 Find Your Ocean Friends Event now live! The new Finding Nemo themed Find Your Ocean Friends event started today! Tsum Tsum Game News! 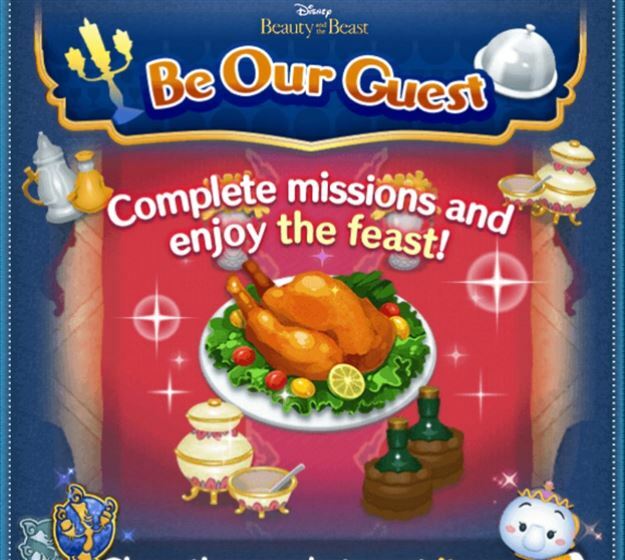 Beauty and the Beast Be Our Guest Event now live! 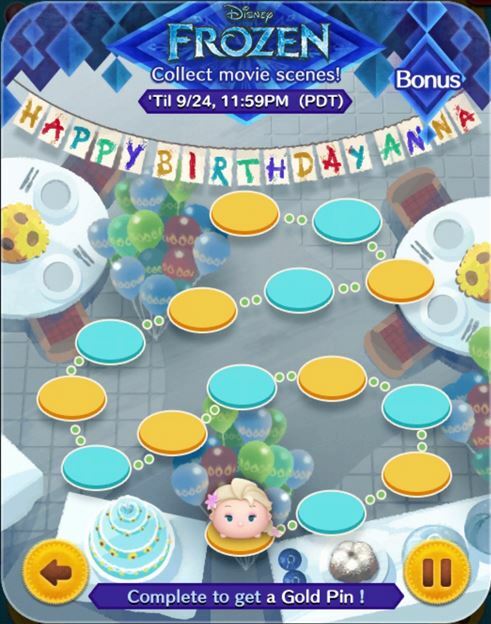 The next event for the International version of the Disney Tsum Tsum Mobile Game is here! Tsum Tsum Game News! 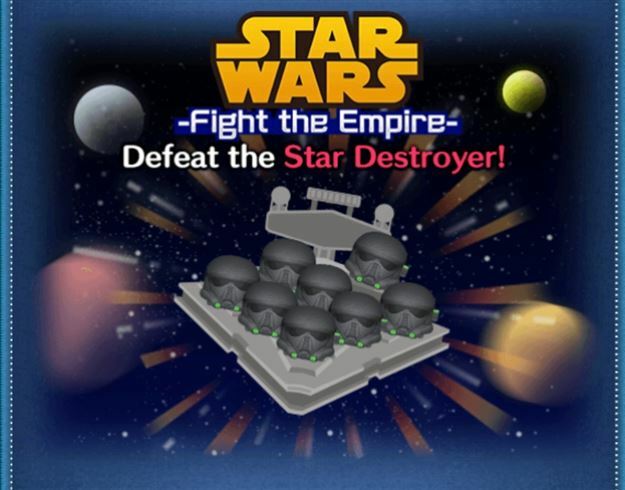 Star Wars: Fight the Empire Event now live! The International version of the Disney Tsum Tsum mobile game has been updated to add the new Star Wars: Fight the Empire Event!